Multigenerational pedigrees have been developed for free-ranging populations of many species, are frequently used to describe mating systems, and are used in studies of quantitative genetics. 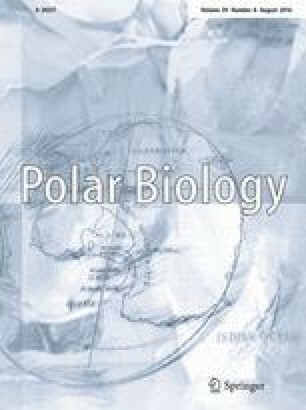 Here, we document the development of a 4449-individual pedigree for the Western Hudson Bay subpopulation of polar bears (Ursus maritimus), created from relationships inferred from field and genetic data collected over six generations of bears sampled between 1966 and 2011. Microsatellite genotypes for 22–25 loci were obtained for 2945 individuals, and parentage analysis was performed using the program FRANz, including additional offspring–dam associations known only from capture data. Parentage assignments for a subset of 859 individuals were confirmed using an independent medium-density set of single nucleotide polymorphisms. To account for unsampled males in our population, we performed half-sib–full-sib analysis to reconstruct males using the program COLONY, resulting in a final pedigree containing 2957 assigned maternities and 1861 assigned paternities with only one observed case of inbreeding between close relatives. During genotyping, we identified two independently captured 2-year-old males with identical genotypes at all 25 loci, showing—for the first time—a case of monozygotic twinning among polar bears. In addition, we documented six new cases of cub adoption, which we attribute to cub misidentification or misdirected maternal care by a female bereaved of her young. Importantly, none of these adoptions could be attributed to reduced female vigilance caused by immobilization to facilitate scientific handling, as has previously been suggested. The online version of this article (doi: 10.1007/s00300-015-1871-0) contains supplementary material, which is available to authorized users. The authors would like to thank the Manitoba Department of Conservation and the Government of Nunavut for providing some of the samples, as well as Dennis Andriashek and Wendy Calvert for long-term data collection and maintenance. We would also like to acknowledge the contributions of Andrew Derocher and the late Malcolm Ramsay, who gathered some of the field data used in this study. DNA extractions for most pre-2006 tissue samples were conducted by Jennifer Bonneville Davis. Robert Cope helpfully recommended the use of the program FRANz. This project was funded by grants to CSD from Environment Canada and by a Natural Sciences and Engineering Research Council Discovery Grant to DWC (Grant ID 312207-2011). RMM is funded by scholarships from Alberta Innovates Technology Futures, the University of Alberta, and the Province of Alberta. Financial and logistical support of the long-term study of polar bears in western Hudson Bay have been provided by Care for the Wild International, the Churchill Northern Studies Centre, Environment Canada, the Isdell Family Foundation, Manitoba Conservation, Natural Sciences and Engineering Research Council, Nunavut Wildlife Research Trust Fund, Parks Canada Agency, the Strategic Technology Applications of Genomics in the Environment (STAGE) funding program, Wildlife Media Inc., World Wildlife Fund (Canada), and World Wildlife Fund Arctic Programme. Josh Miller and Jamie Gorrell provided advice and comments on an earlier version of the manuscript. All applicable international, national, and/or institutional guidelines for the care and use of animals were followed. Environment Canada’s animal-handling procedures were approved annually by their Prairie and Northern Region Animal Care Committee, and all research was conducted under wildlife research permits issued by the Province of Manitoba and by Parks Canada Agency.